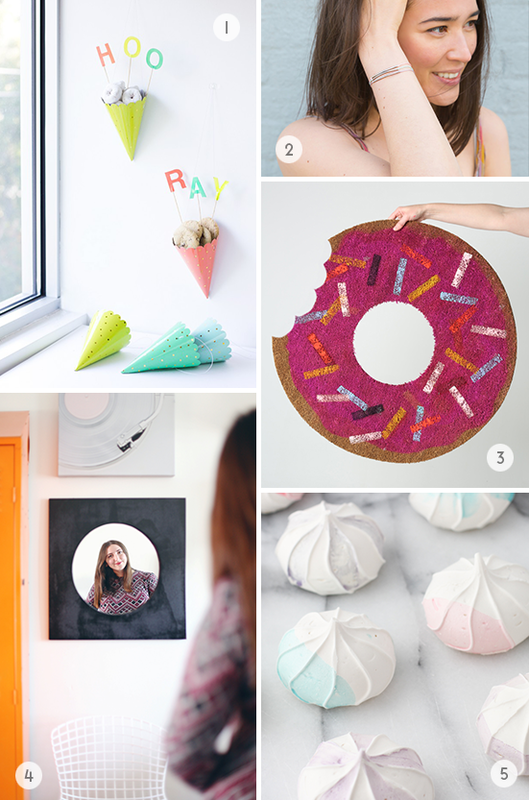 A guest post by Alex of Alex Keller Studio. My son’s pre K class colors every morning. One of the teachers mentioned getting some new crayons. I ask what they did with the old ones. She said that they would save them for a while and maybe try to find a project for the kids, but the old crayons usually get thrown out after a time. So I told her that I would take them and make some new crayons for the kids! 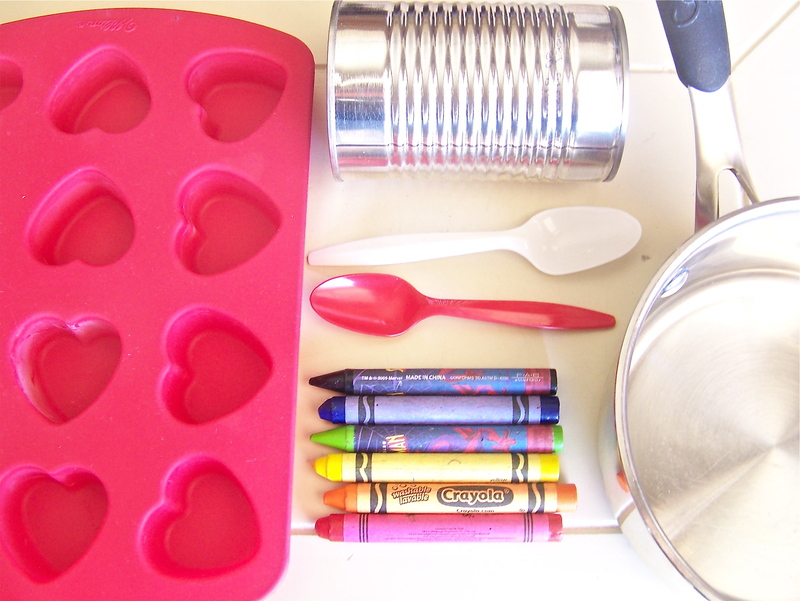 Supplies Needed: You’ll need an old pot, clean empty cans, crayons, plastic spoons, a candy mold with heart shapes and a pot holder. 1. Sort your crayons by color. We grouped various shades of each color together, so red orange could go either way! Make piles to go with the colors of the rainbow. 2. Peel the paper off all of the crayons. Some crayons may take a bit of work because the paper is glued on. 3. Add some water to your pot, put it on the stove and turn on the heat. I started and stayed around medium. 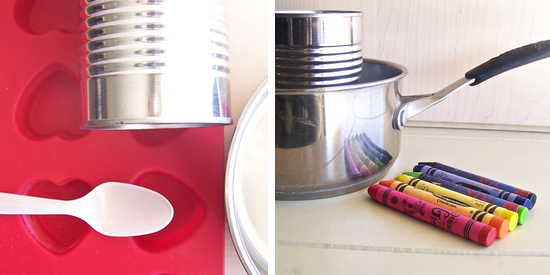 Break up a bunch of red crayons into a soup can and put the can into the warm water. Use a spoon to poke and prod and mix up the reds. 4. 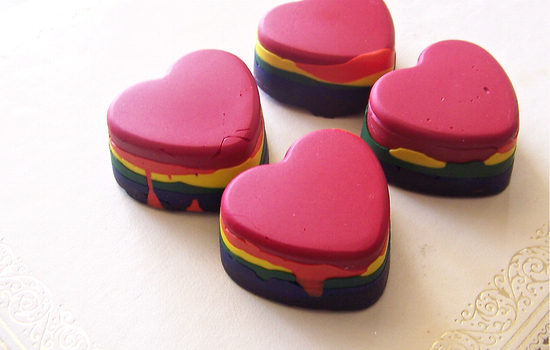 When the crayons have melted, use your spoon to ladle some red into each of the molds. Do as little or as much as you want. 5. Repeat with each color, allowing the crayons to cool in the molds between colors. We used a fresh soup can each time to keep the colors true. My son and I layered on orange, yellow, green, blue and purple. We used extra crayons to make solid hearts, too. 6. 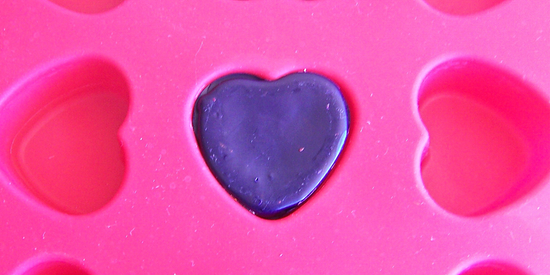 Allow the crayon hearts to cool completely and then pop them out of the molds! 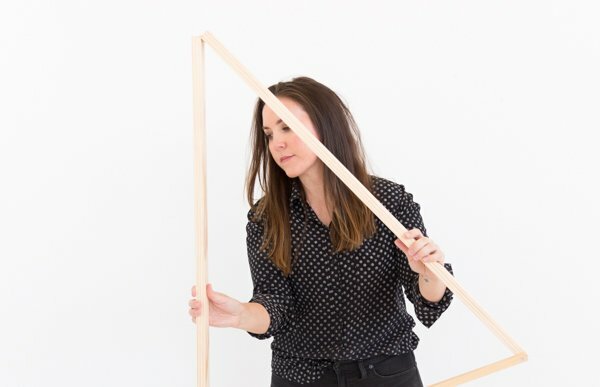 More about Alex Keller: Alex has a passion for fashion, art and design. And she infuses her love of vintage and jewelry into two shops: Vintage by Alex Keller and Alex Keller (the jewelry shop). You can follow Alex on twitter as well at AlexKeller. 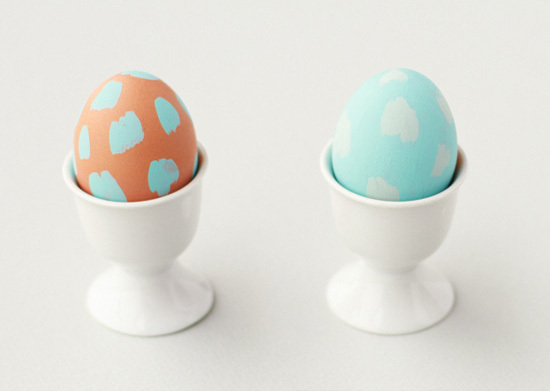 For more ideas for quick and easy projects, click here to visit the tutorials page filled with more than 50 diys. I love DIYs. But more than DIYs, I love crayons. So this ones a keeper! I’ll send pics of my crayons when their done! Looking forward to seeing your take on this project Mayi. Very cool! This is such a great idea. I would love to try it with my new matryoshka doll ice cube trays. Little rainbow dolls would be adorable! These turned out great! I will have to ask some of my teacher friends what they do with the crayon pieces. I love the hearts they would have made valentine’s gifts! I love it, so pretty! I wish I could see them in action though, how the rainbow looks on the page. You can microwave crayon chips/bits/pieces in the mold. Might take a couple minutes, but I’d check every 30 seconds or so, and stir with a toothpick if the bits aren’t breaking up. If you want layers of colors, you could use a grater, keep the dry crayon shavings in a paper cup until you’re ready for that color. 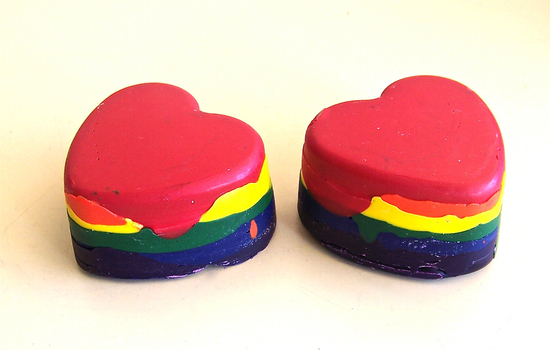 I melt crayons in candy molds in my oven. I like this variation! An easy way to get the paper off crayons: soak crayons in warm water. The paper will come right off! Be careful with crayons that are not by crayola. They have a tendency to melt a little in warm water.